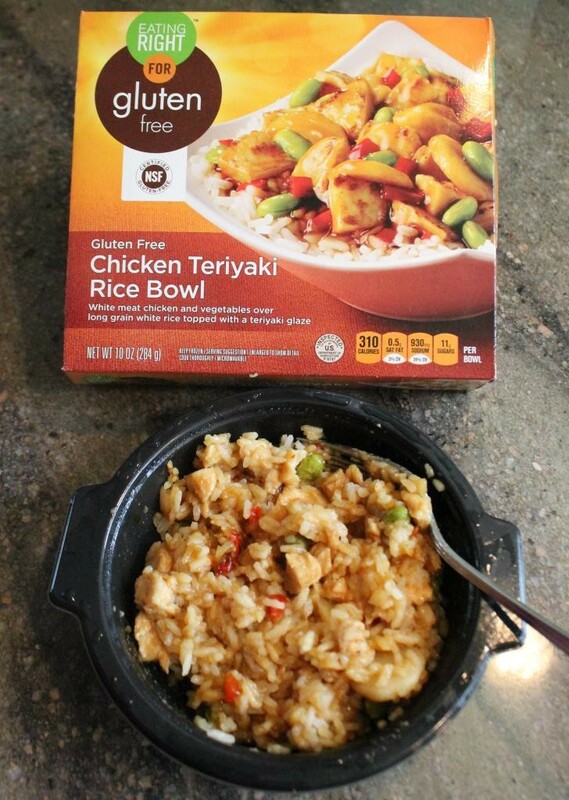 As teriyaki goes, I thought this Chicken Teriyaki Rice Bowl by EATING RIGHT was a little light on flavor. With 930 mg of sodium, I anticipated a little more teriyakiness to it. 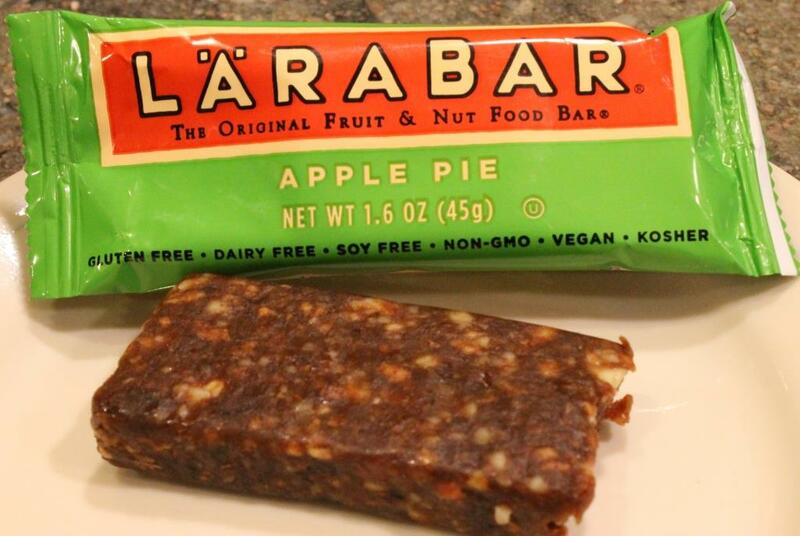 For $2.99 and gluten-free, it’s hard to knock it. The chunks of real white meat chicken are of good consistency. There were a couple of soybeans, a few water chestnuts, but no other veggies in this bowl. In their defense, I did try this dish one other time and there were a lot more vegetables in it. So, they don’t seem to be very consistent. Overall, I probably would not purchase this again. It wasn’t “bad” but it wasn’t all that, either. I wouldn’t have purchased it a second time if I hadn’t been lazy and forgotten to write the review the first time. 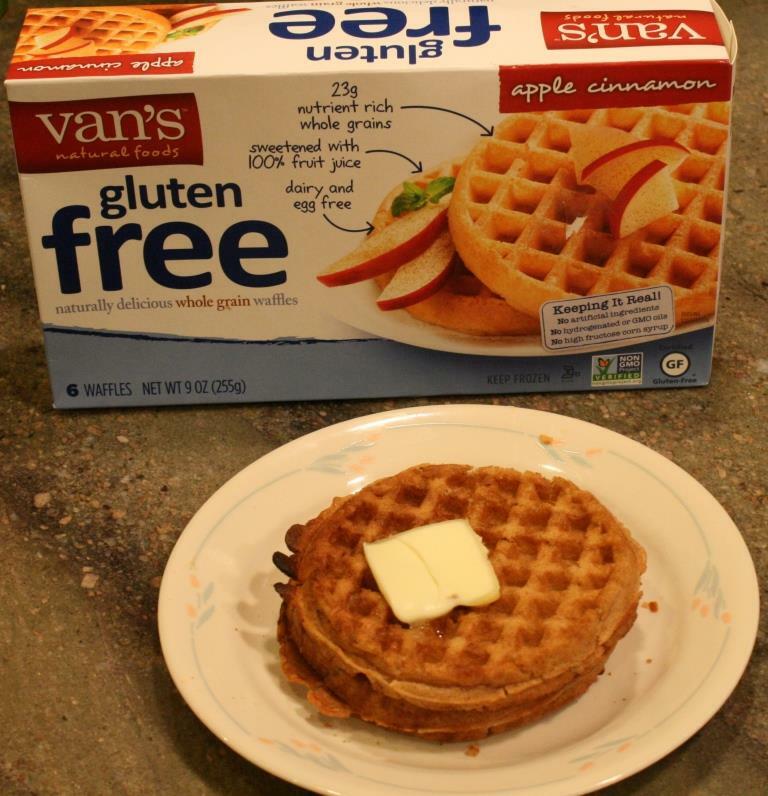 I figured I’d try these Van’s Gluten Free Apple Cinnamon Waffles because sometimes it’s nice to have something hot that’s quick and easy to prepare. I got them on sale at Safeway for a very decent price (can’t recall exactly, sorry). These waffles are gluten-free, Kosher, all natural, no artificial colors or preservatives, egg-free, dairy-free, and corn-free. Wow. Is there anything left? Two waffles are considered a serving, and they have 200 calories, 6 grams of fat, 35 grams of carbs, and 2 grams of protein. Not hideous. I do like that they are made with canola oil and not soy. That’s a plus for me. While they’re toasting, they smell awesome, I’ll give them that. Granted, my toaster oven is a piece of junk, but these guys were not very crispy after one cycle. so I put them back for a second. It could be my oven, or, it just could be that they were a bit old and that’s why they were on sale. Even after the second toasting, they weren’t as crispy on the outside as I was expecting. No big deal. Because of the lovely aroma coming from the toaster, I expected these to be chock full of apple cinnamon flavor. They weren’t. It was quite muted. I was hoping to just be able to eat these without syrup – just with butter – but there was just not enough flavor to do that. That’s okay, I was just hoping to cut back on my sugar consumption a little. The maple syrup really did complement the flavor, however, and bring out that apple a bit more. In general, I do like the Van’s brand, and they have an incredibly amazing granola that I’ll write about at a later time. Meanwhile, you can check them out at http://www.vansfoods.com/. 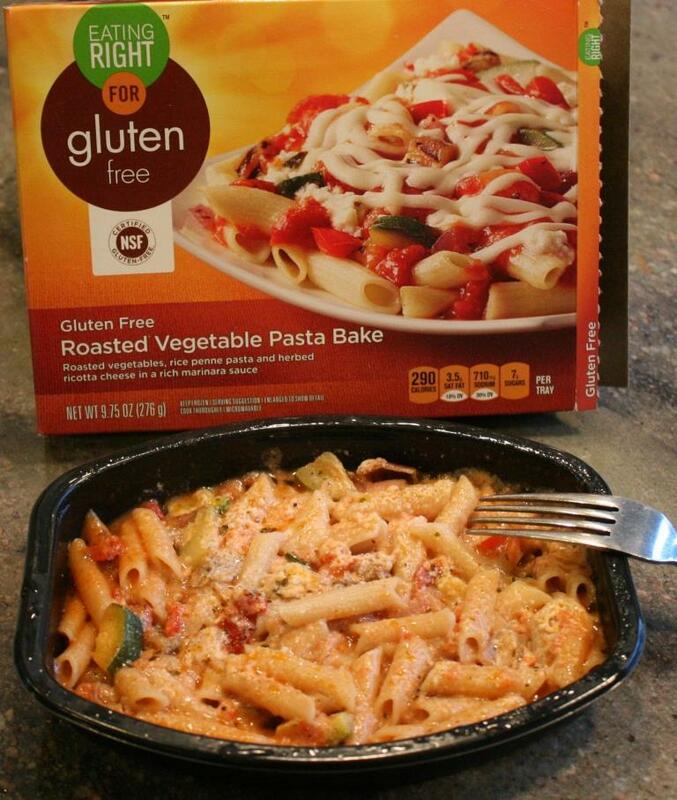 I have to say, this Gluten Free Roasted Vegetable Pasta Bake by Eating Right is one of my new favorites. From the package: Roasted vegetables, rice penne pasta and herbed ricotta cheese in a rich marinara sauce. It’s good. It’s flavorful. 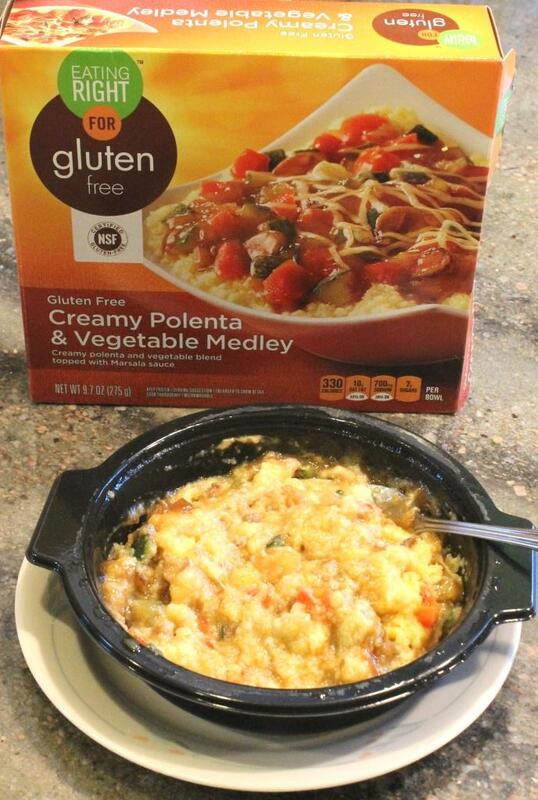 It cooks up well in the microwave. Done in less than 6 minutes. 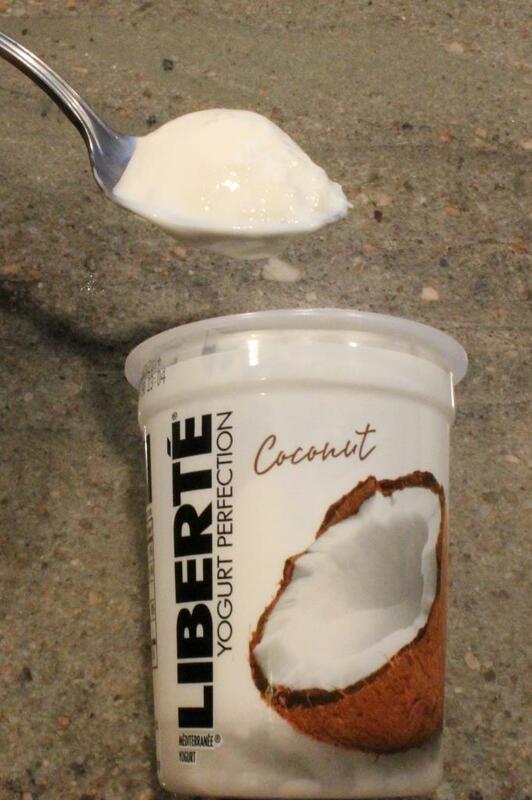 290 calories, 9 grams of fat, 710mg sodium, 41g carbs, and 11g protein. Now, for those of us who are meatatarians, here’s what I recommend. Cook as directed on the package – 3 minutes, stir, then 2 minutes. Add one serving of your precooked favorite meat (leftovers work great!) – shredded chicken, sausage, burger, shrimp, whatever, and then cook 30 seconds more. Don’t put too much, though – you don’t want to overpower the flavor of this savory dish. YUM! I got this for $2.99 regular price from my local Safeway store. Eating Right certainly got it right. 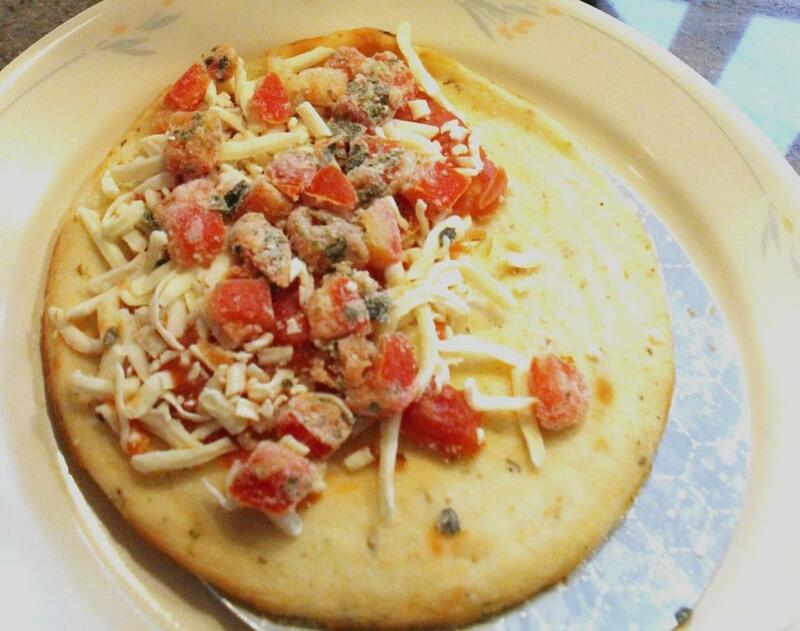 Seriously, this EATING RIGHT Gluten Free Margherita Pizza is pretty good, especially for a microwave pizza. For $2.99 (regular prize at my local Safeway), you get a filling, gluten-free personal pizza that takes up to 3 minutes to cook.